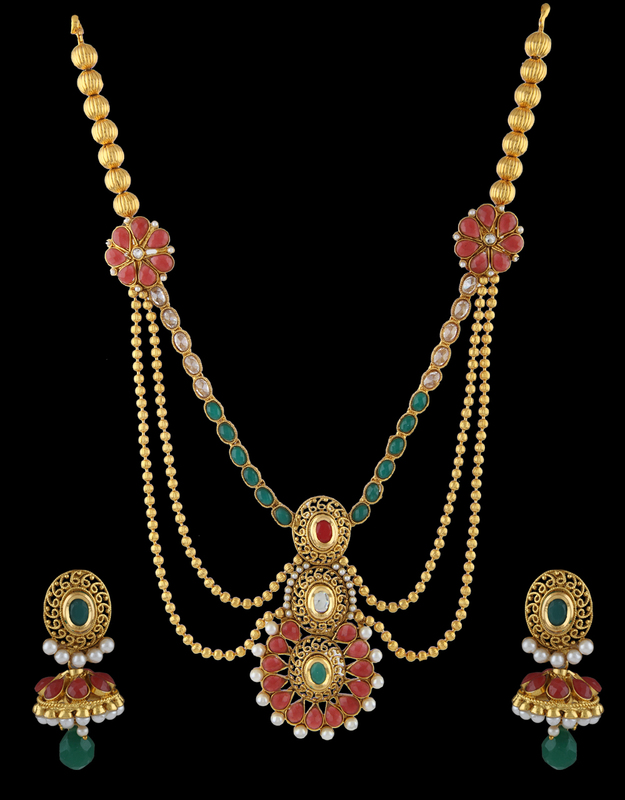 If you are known for doing things differently, then why not try it out on jewellery as well in the form of this necklace set from Anuradha Art Jewellery. 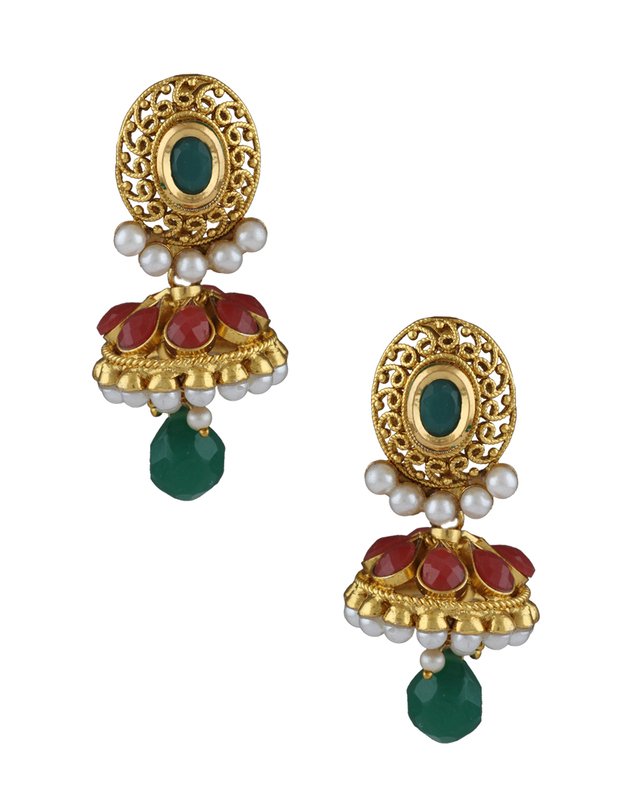 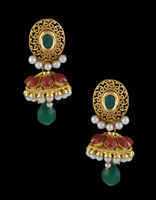 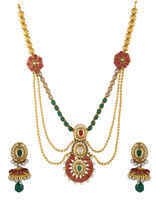 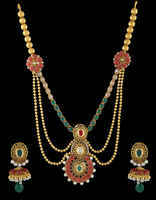 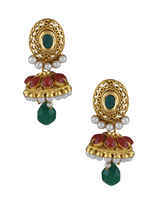 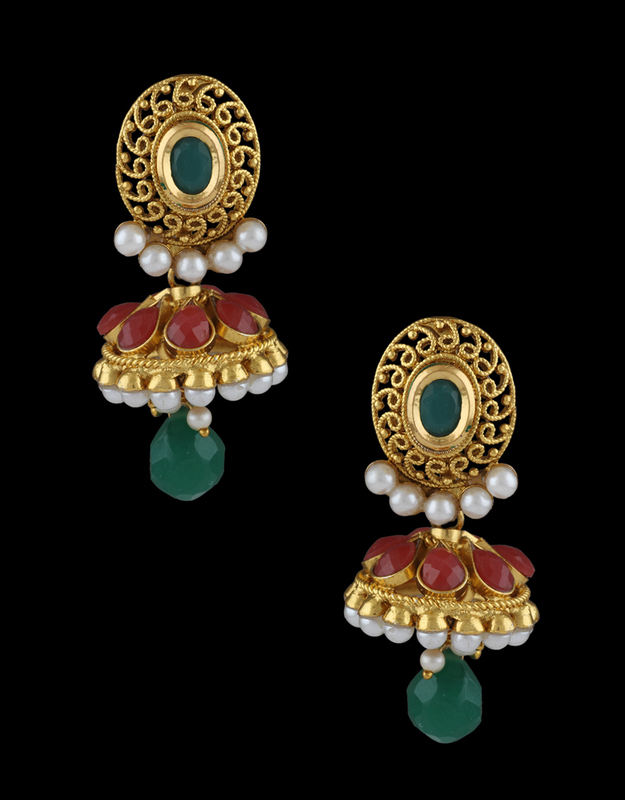 This beautiful golden beaded set is studded with multi colored stones & crafted from 40% silver & golden polished copper. 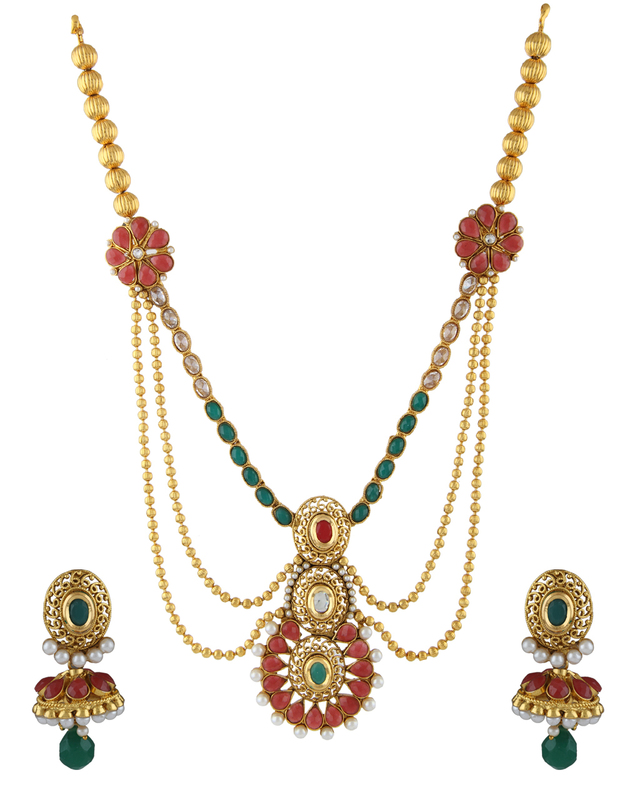 This necklace comes with an adjustable ‘DORI’ so that it can fit easily around your neck.